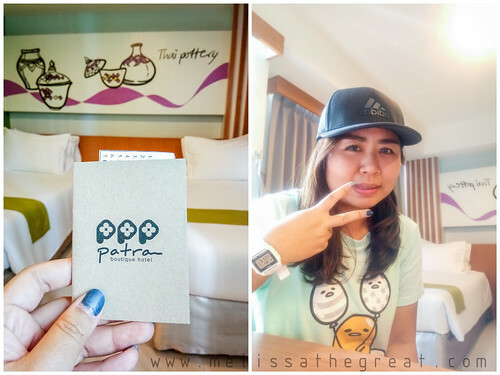 Visit Bangkok 2018, Patra Boutique Hotel. Many Malaysians were seen traveling to Bangkok, Thailand. Probably because its nearer and more affordable. Food wise also suits our taste bud. 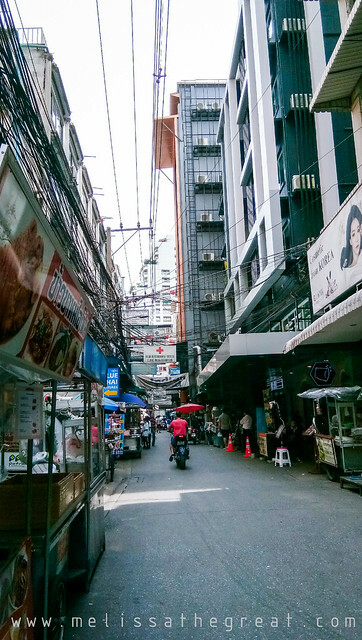 Last year my friend and I traveled to Bangkok, we stayed at Pratunam area. 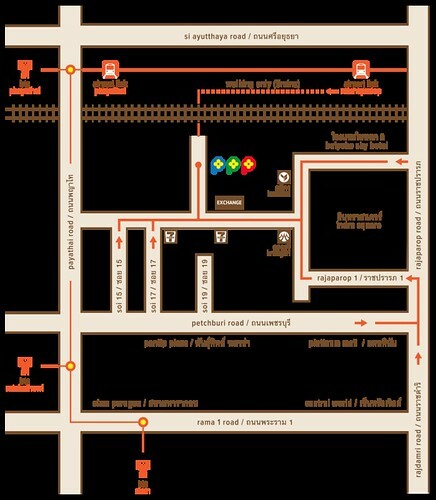 This year, we also chose to stay at Pratunam area. 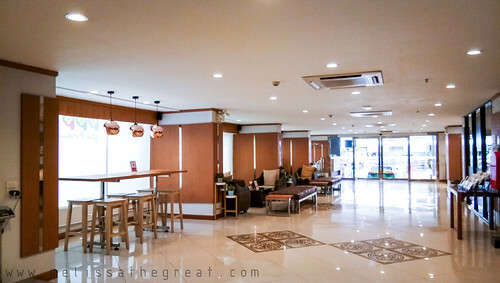 There are plenty of nice boutique hotels ranging from RM100+ per night stay. 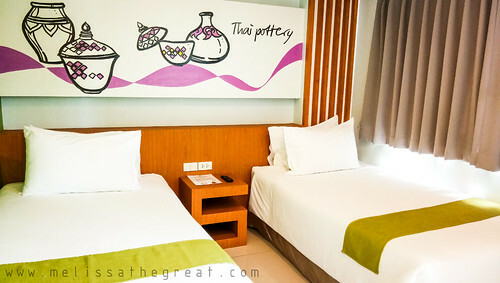 This year we chose Patra Boutique Hotel. I often check reviews from tripadvisor before confirming a hotel. Upon arrival at Don Muang Airport, collected our luggage, then head to the assigned location to pick up my tourist 4G sim card (8 days unlimited internet) which I purchased in advanced from KLOOK. I felt it is more convenient although you can also purchase from the counters there. Sales representative from KLOOK will help me to activate the sim card on my mobile phone. Pick up process was simple and quick. From Don Muang Airport, we booked a Grab Car to our hotel. Distance was about 24km. Fare was much cheaper than the airport taxi. But due to the heavy traffic in Bangkok, you may need to allocate around 1 hour to reach. 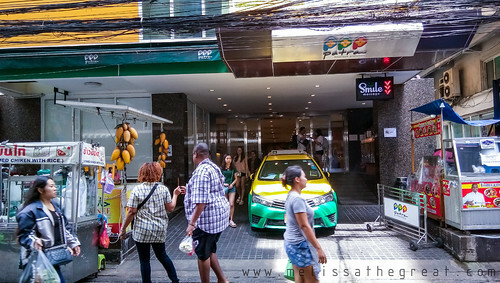 Since our hotel is located at Soi 19 of Pratunam, many taxi will not want to stop right in front of the hotel because of the narrow road. Only one car could drive thru. Pray that there’s no car from the opposite direction. LOL! They’ll usually stop at the main junction. Hence you’ll need to do some walking…around 5 minutes. 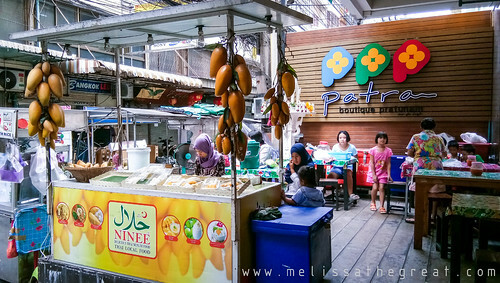 When I go to Bangkok’s 7-11 store, I felt there’s so much things to buy. LOL!! There’s this Chicken Rice and Mango Sticky Rice right in front of the hotel which operates from afternoon till night. The check-in process was quite fast because there wasn’t crowd during my arrival. 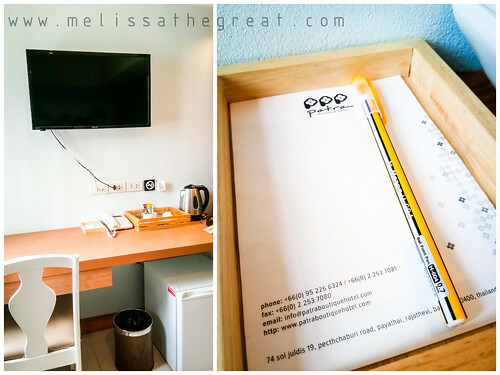 Upon check-in it, as usual our passport will be required and also a refundable deposit of 1000 baht. Am standing in front of this wall with painted map. I think it looks nice and colorful. 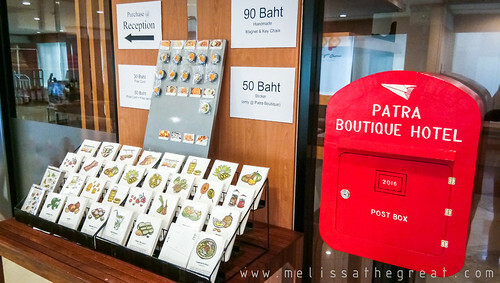 Just in case if you want to send a postcard to your loved ones or last minute souvenir of handmade magnet and keychain. 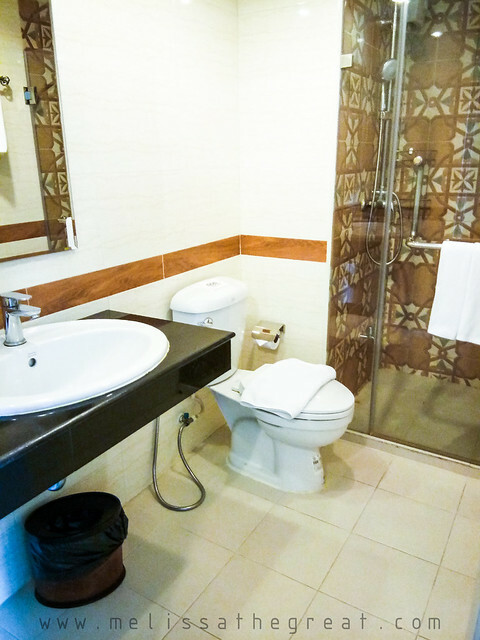 Our Superior Room size 26 sqm. equipped with two single beds. Modern interior and a comfortable stay. Moreover it looks clean too. 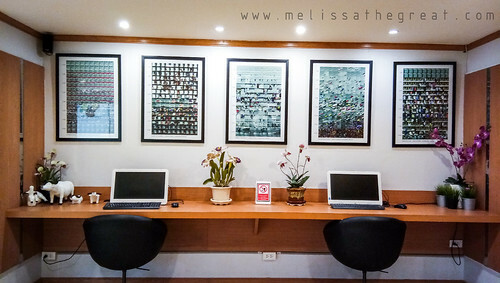 The air-conditioned room includes Free Wifi, TV, Refrigerator, Kettle, Phone, Hair Dryer and a Safe Box. After much walking the whole day, return to the hotel for foot massage. 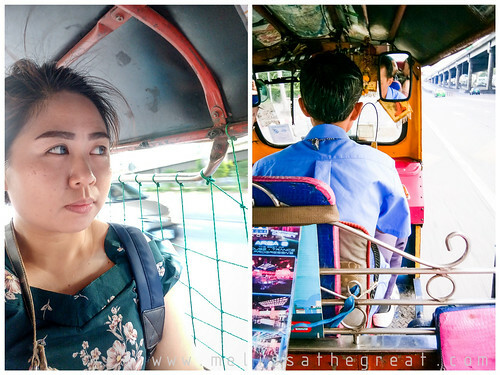 It is convenient to hail a Tuk-Tuk here. But we will usually compare the rate with Grab. To avoid kena cut-throat lar. 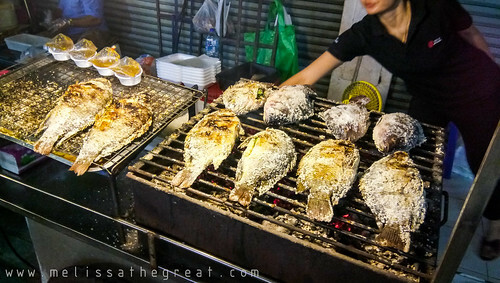 Night became more livelier with all food stalls setup on both sides of road. 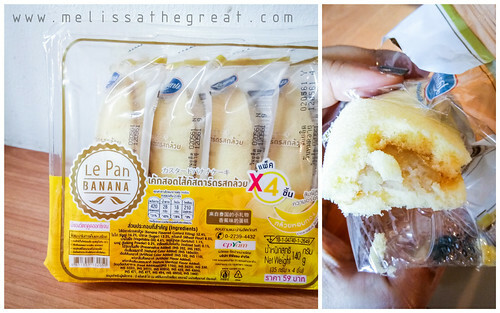 If you are a fan of Japan’s Tokyo Banana, this is really on par to that. You can get them from the 7-11 store. And its cheap too! This is the hotel’s location. 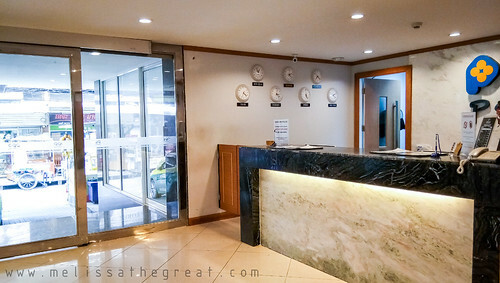 On our last day here, we booked the hotel’s cab to the airport which cost 450 baht fit 2-3 passengers incl. luggage. Have not travelled for a long time now. 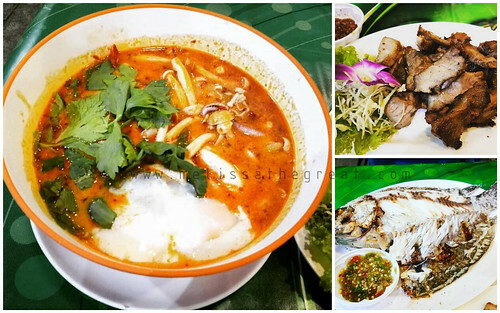 I love Thai food, I loved Bangkok – would love to go there again someday. 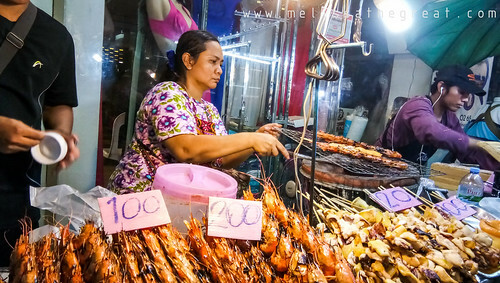 Bangkok really eat and shop till drop. Love their street food too. not bad the hotel. Bangkok has so many hotels to choose now hoh….